Icelandic culture and epic history greet you this morning in the country’s capital: Reykjavík. Explore the old section of the city on a walking tour where you’ll discover the towering Hallgrimskirkja church, the harbor, city hall, and Reykjavík’s oldest building, now home to the Kraum Icelandic Design Center. The Harpa Concert Hall is a true marvel of modern architecture in Reykjavík, as is the hall’s famous glass façade. Tonight, make friends with your traveling companions during a traditional Icelandic dinner at a distinctive local restaurant. 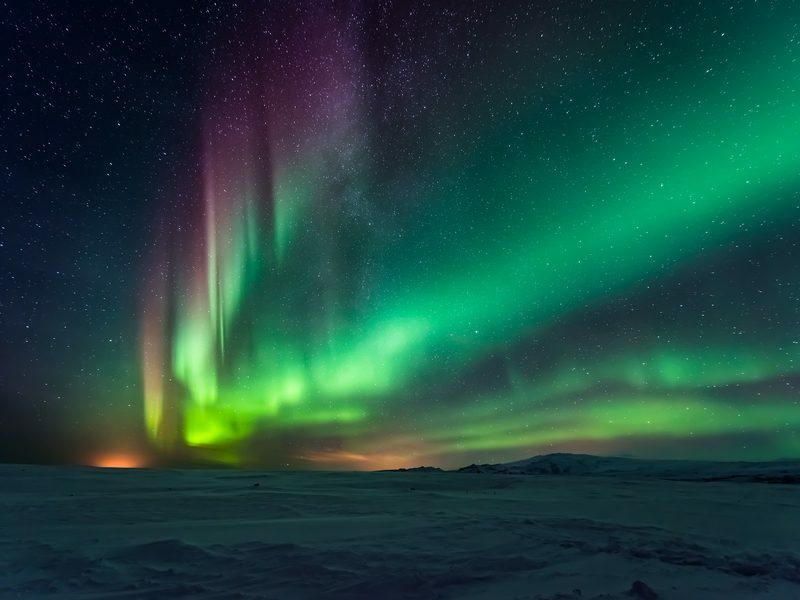 A journey along the spectacular Golden Circle is your gateway to Iceland's most incredible natural wonders. Experience a “day in the life” at a family-owned dairy farm and enjoy a mélange of cheeses that are produced onsite. 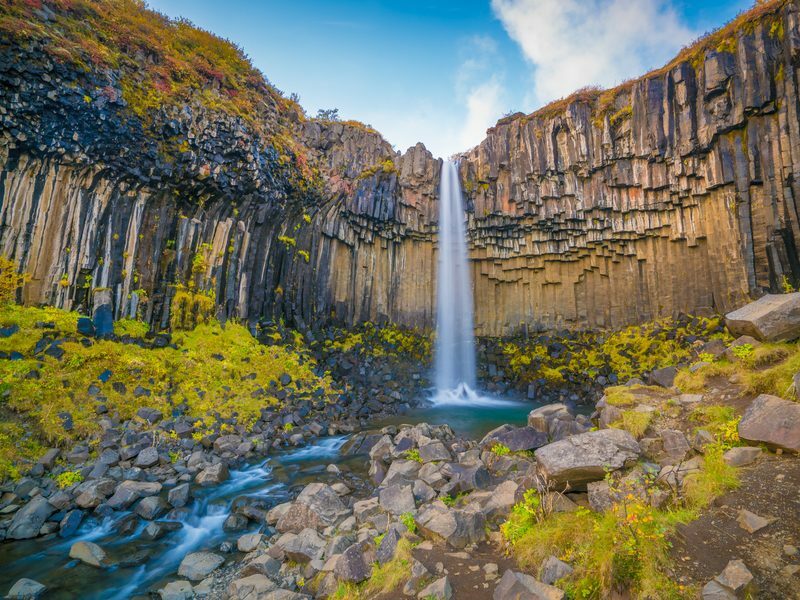 Journey onward to the otherworldly Thingvellir National Park, where you can walk between two continents as you stand at the crest of the Mid-Atlantic Ridge, a UNESCO World Heritage site that marks the meeting place of the North American and Eurasian tectonic plates. 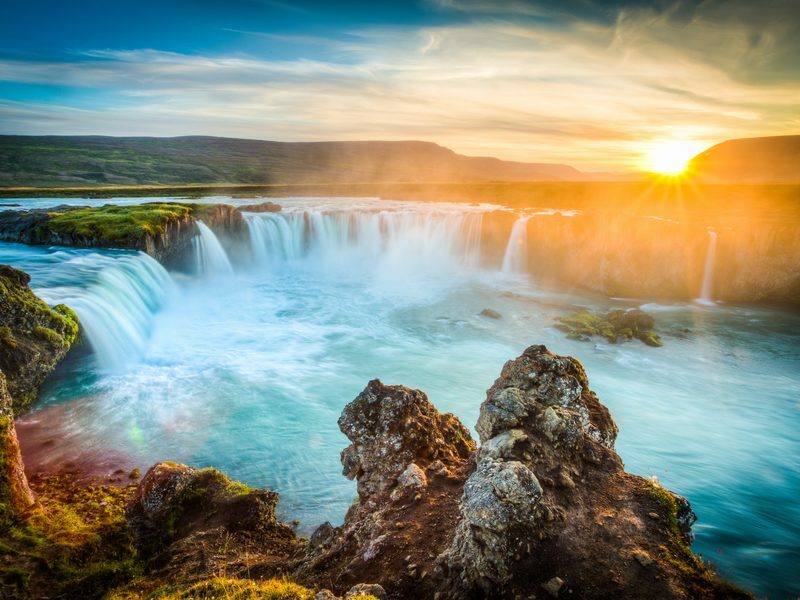 Get lost in the beauty of the Gullfoss’ (Golden Falls) 100-foot double cascade waterfall, and see Strokkur, the fountain geyser with an explosive, 90 foot vertical spout. Experience Iceland’s farm-to-table culinary culture up close, and learn how Icelanders grow pesticide-free tomatoes and cucumbers thanks to the island’s geothermal energy during a visit to the Friðheimar Greenhouse Cultivation Center. Later, encounter a special breed of Icelandic horse during a brief show* that’s followed by a visit to the stables. Experience the true beauty of the way up north. This morning we fly** to Akureyri. Upon arrival*** enjoy some leisure time to absorb the quaint culture of Iceland’s “Capital of the North”. En route to Húsavík, stop at one of Iceland's most historic waterfalls, Goðafoss, where Iceland was converted to Christianity in A.D. 1000. Next we’ll make a stop at Staðarbraut to see its fascinating collection of turf settlement homes. Later, settle into your farmhouse in the Icelandic countryside. This family-owned property holds an environmental gold certification. Savor the reflective stillness of its dreamlike surroundings during a 3-night stay. This evening, enjoy the true essence of farm-to-table as locally sourced ingredients are incorporated in your dining experience. Today begins at the horseshoe shaped Ásbyrgi Canyon. Hear the legend behind the canyon as you take in the view of this massive formation. 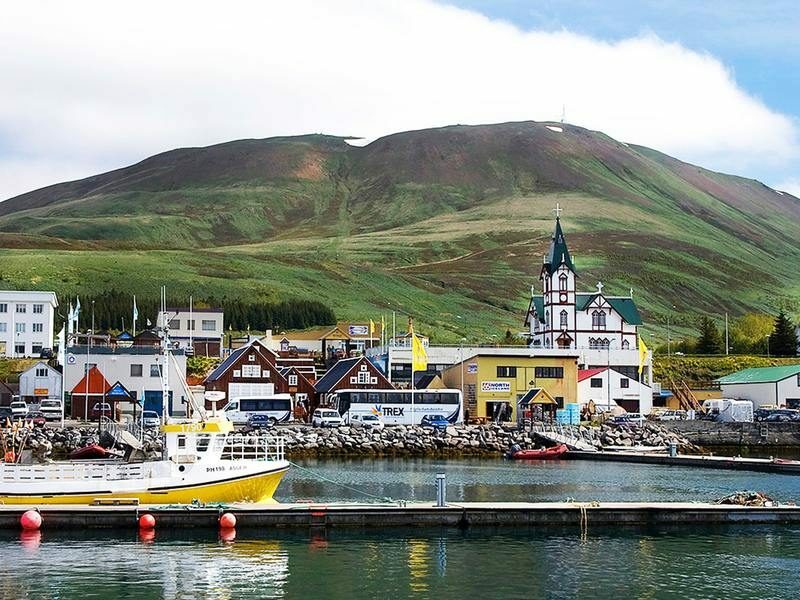 Later we venture into the town of Húsavík. Ancient tales say this was the first place in Iceland settled by the Norse. Your adventure starts with a visit to the town’s whaling museum. Then take to the sea! Gear up in thermal wear because you’ll be joining expert whale watchers on Skálfandi Bay. Aboard specialized zodiacs, get as close as you can to whales in northern Iceland. You may see the humpback, minke, fin or harbor porpoise, and possibly the orca or giant blue whales that frequent these waters. This afternoon enjoy some leisure time and meet the people who call this town home. Spend today exploring the highlights of the magnificent Diamond Circle, a scenic circuit that covers over 160 miles. Begin with the powerful Dettifoss waterfall, known to be one of the strongest waterfalls in all of Europe due to its volume. Then visit Hverir, where geothermal activity comes to life on the earth’s surface. Continue onto Skútustaðagígar and get up close to rootless cones, or pseudo-craters, which were formed by lava coming in contact with Lake Mývatn’s waters rather than a volcanic eruption. Next, marvel at Lake Mývatn, the Blue Lagoon of the north. Enjoy time exploring the warm, mineral-rich geothermal waters of this man-made lagoon. This evening continue to experience the gifts of your surroundings during another farm-to-table inspired dinner. A scenic drive to Stykkishólmur unveils a place unlike any other: the 100km-long Snæfellsnes Peninsula. Nicknamed “Iceland in Miniature,” the sparkling fjords, volcanic peaks, and the Snæfellsjökull ice cap (immortalized in Jules Verne’s Journey to the Center of the Earth) are just some of the sights you’ll see in this otherworldly landscape. Along the way, catch a glimpse into the Icelandic craft of transforming fish to leather at a local tannery. 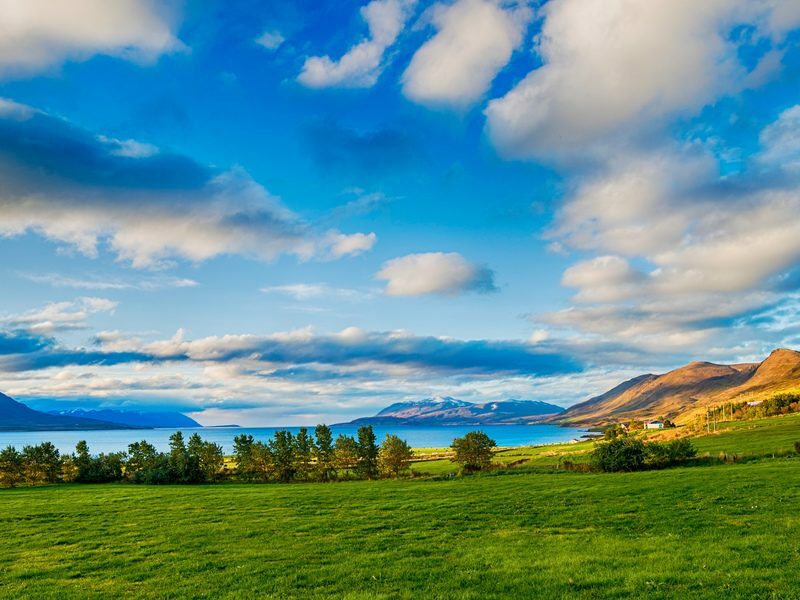 This afternoon, enjoy some time on your own to explore the quaint fishing village of Stykkishólmur, with its shops, museums, and plethora of opportunities for catching the unbelievable scenery with your camera lens. 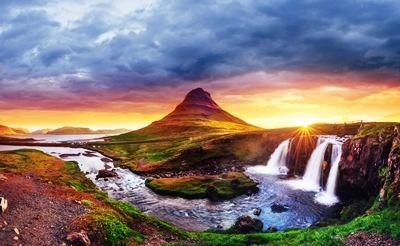 Today, continue your journey through the Snæfellsnes Peninsula, with its camera-ready black sand beaches, stunning cliffs, mountain peaks, volcanic craters, plunging waterfalls, rocky coastlines, and tiny fishing villages. Get ready to journey 100 feet below the ground to an 8,000-year-old lava tube on a thrilling tour of Vatnshellir Cave. **** In addition to seeing the amazing rock pigments, lava formations, stalagmites, and stalactites of the cave, you’ll also get to experience total and absolute darkness. Back in the light of day, gear up to ascend the captivating Snæfellsjökull glacier***** via mountain truck! Under a tented venue surrounded by Iceland’s pastoral splendor, join your mountain guides for an exclusive tasting of local epicurean specialties. Then, it’s your choice! Join an expert glacier guide on a hike that brings you to nearly 3,000 feet, where breathtaking ice formations, moulins, and crevasses reside in full view -OR- venture alongside a guide for a mountain hike to see a lava field’s myriad textures and pigments. Head south on the Snæfellsnes Peninsula where you’ll embark on a true Icelandic cultural adventure. Enjoy a once-in-a-lifetime encounter with a local family that keeps alive a 400-year-old tradition of catching and preserving Greenland shark. See the fishing boat their grandfather used, and explore the local museum where you’ll learn more about Iceland’s deep relationship with this trade. Before leaving, test your culinary courage and try the local specialty, hákarl (cured shark meat). Dive into the origins of Icelandic heritage, including the works of the famous Viking poet, Egill Skallagrímsson, on a visit to the Settlement Museum. Embark on a drive to the Reykjanes Peninsula, best known as the home of the Blue Lagoon. 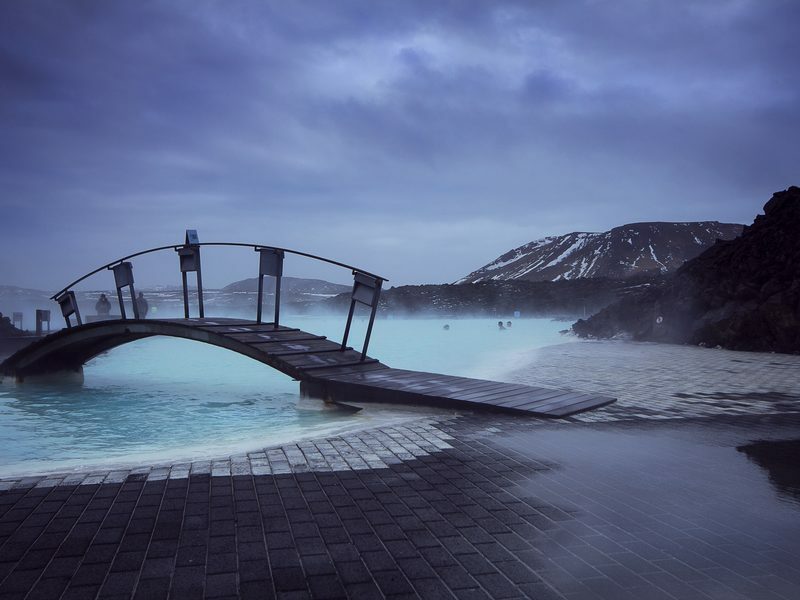 You can’t leave Iceland without taking a dip in the warm, mineral-rich waters of this geothermal wonder, located in the middle of a dramatic lava field. Come together this evening for an unforgettable farewell dinner at a restaurant featuring Icelandic-inspired cuisine. Head for home having uncovered Iceland’s adventurous side.